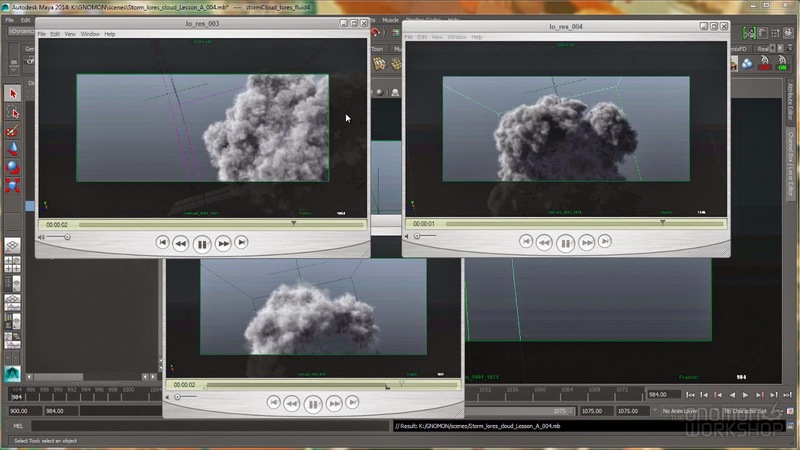 In this title, Wayne Hollingsworth demonstrates effective techniques for the creation of dynamic cumulus and stratus clouds with Maya fluids. 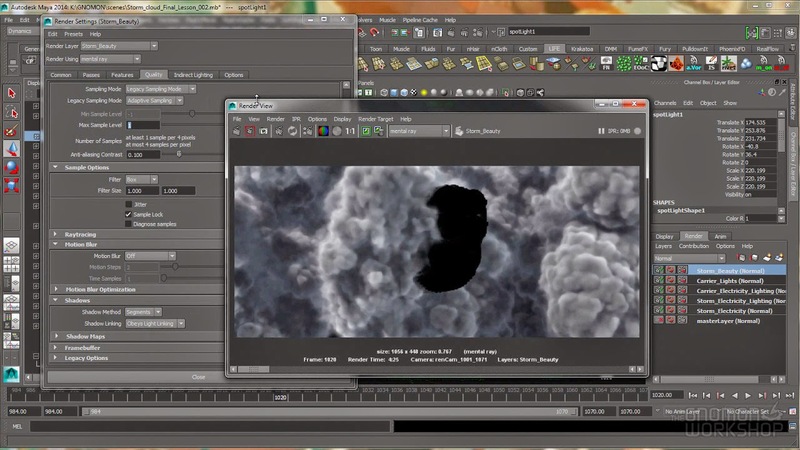 The workflow begins by discussing and executing different types of particle emission for the cloud shapes. 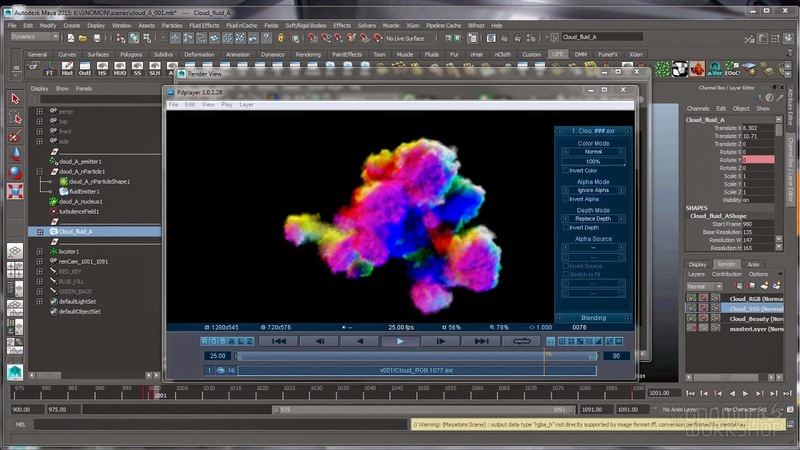 This includes the nDynamic particle system, caching, and how to utilize the Trax editor to take advantage of re-timing and offsetting for the cloud simulation sequences. Wayne’s methodology provides precise control over the shape of the clouds while offering a flexible workflow for various applications. With the cloud system simulated, the lecture delves into texturing, lighting and rendering techniques for photorealistic clouds. 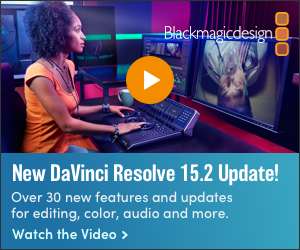 Render passes that utilize render layers, RGB passes, Multi-scattering and Beauty are created and then compositing inside of Nuke with an emphasis on the flexibility that this provides for lighting adjustments in the final composite. 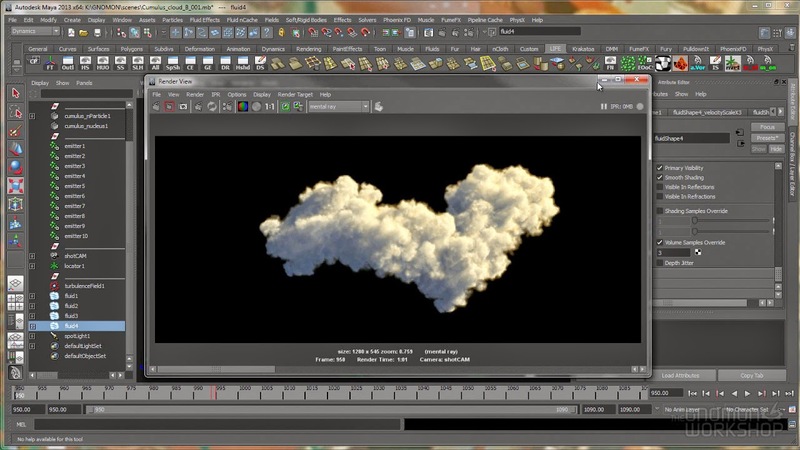 For those needing to incorporate dynamic 3D clouds into their digital environments, this title provides a production proven and extremely effective workflow. 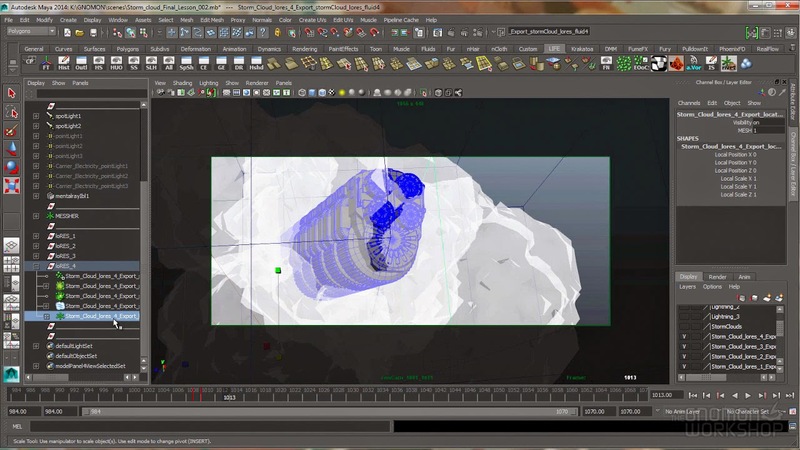 In this lecture, Wayne Hollingsworth demonstrates how to create dynamic storm cloud simulations in Maya through the creation of a production quality animated sequence. 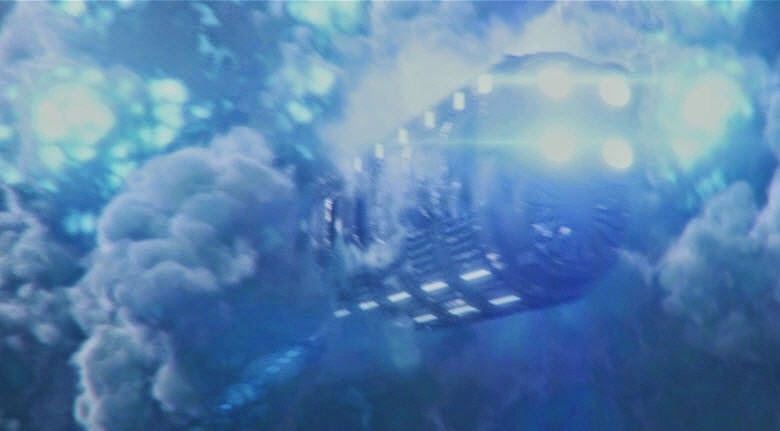 Wayne thoroughly addresses the various technical challenges, and solutions, as a space cruiser passes through storm clouds that must realistically react to its shape while being illuminated by lightning strikes. 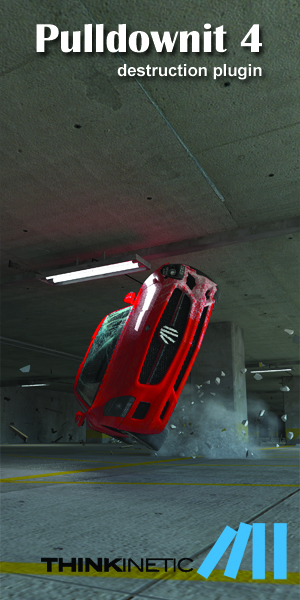 Reference is evaluated is order to ensure believable results as the lesson goes in-depth on how to effectively control fluid simulations with custom velocities, fields, and particle simulations. Techniques for an intuitive lightning rig are also thoroughly explained through the use of several scripts and expressions. Wayne then delves into rendering through the use of several render layers consisting of RGB, Multi-Scattering, Beauty and Interactive lighting. In conclusion all of the elements are composited in Nuke. This advanced title assumes a fundamental knowledge of Maya fluids as discussed in Wayne’s previous titles.